In order to identify actual or impending problems and to monitor the effectiveness of treatments and change in conditions, Patients in Intensive Care require a wide variety and frequent pathology tests on different body fluids (E.g. blood, sputum and urine). Why so many different tests and so often? Why do Intensive Care Patients and my loved one have lots of blood tests? 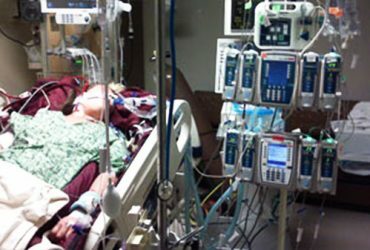 Patients in Intensive Care are critically ill and their condition is usually fragile. In order to identify, optimise and alter treatment, critically ill Patients will have a wide variety of Pathology tests on different body fluids (E.g. blood, sputum and urine). The types of tests and how often these tests are performed depend on why the Patient is in ICU, drugs and medication your loved one receives and how unwell your loved one is. Blood tests are usually done on admission to the ICU and then on a daily basis. However some tests will be repeated 3 or 4 times a day, depending on circumstances. Because of the increased frequency of pathology tests required in Intensive Care, an arterial line(Arterial Catheter) is often used to minimise your loved ones discomfort from repeated blood drawings. Unfortunately, some tests cannot be done using an arterial line. All staff taking blood tests are trained to minimise Patient discomfort when performing these tasks. The most common tests are described below. Who will explain the results to me and my loved one? If you have further questions please ask the nurses and doctors caring for your loved one. The test is often used as a screening test for Patients who are critically ill in ICU, to detect abnormalities of blood chemistry, including kidney failure and dehydration. The EUC test is a blood test and requires a few millilitres of blood from an artery or vein. 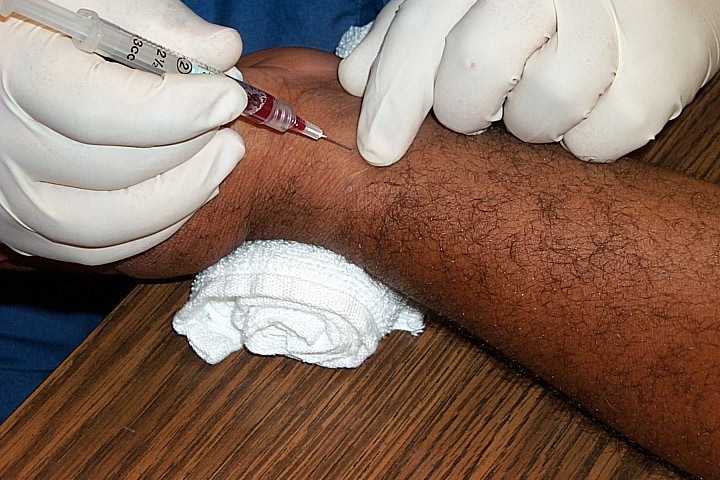 In newborn babies blood may be taken from a heel-prick sample. EUC is usually performed to confirm normal kidney function (renal function) in Urea and Creatinine or to exclude a serious imbalance of biochemical salts in the bloodstream. A diverse number of conditions may be detected on the EUC test, as each parameter tested may be high or low. This test involves taking between1-4 mls of blood from either a vein or an artery. This test looks at the basic chemical balance of the blood as well as kidney function. 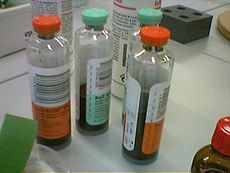 An imbalance in the chemical makeup of the blood will occur in a number of circumstances. This test will also indicate whether replacement of a body salt is required. Urea and creatinine are a direct measure of how well the kidneys are working. The results are usually available in 1-2 hrs. This is a picture of a patient having blood taken from a vein in the elbow. It was found using a google image search at this Website. An arterial blood gas (ABG) is a blood test that is performed using blood from an artery. It involves puncturing an artery with a thin needle and syringe and drawing a small volume of blood. The most common puncture site is the radial artery at the wrist, but sometimes the femoral artery in the groin or other sites are used. In Intensive Care the blood is normally drawn from an Arterial Catheter. An ABG is a test that measures the arterial oxygen tension (PaO2), carbon dioxide tension (PaCO2), and acidity (pH). In addition, arterial oxyhemoglobin saturation (SaO2) can be determined. Such information is vital when caring for Patients with critical illness or respiratory disease. As a result, the ABG is one of the most common tests performed on Patients in intensive care units (ICUs). The test is used to determine the pH of the blood, the partial pressure of carbon dioxide and oxygen, and the bicarbonate level. Many blood gas analyzers will also report concentrations of lactate, hemoglobin and several electrolytes., ABG testing is mainly used in critical care medicine to determine gas exchange which reflect gas exchange in the lungs. This test involves taking a small amount of blood, around 1-2 mls from an artery. Most Patients in ICU, including your loved one, will require at least one ABG, usually on admission. If your loved one requires Non- Invasive Ventilation(NIV) or BIPAP ventilation or requires a Breathing Tube (endotracheal tube) and mechanical ventilation on Ventilators (Breathing Machines) this test is done more frequently, sometimes every 2-4 hours. The results are usually back within a few minutes. Blood to do this test is included in a sample taken for EUC. Liver function tests (LFTs or LFs), are groups of clinical biochemistry laboratory blood designed to give information about the state of a Patient’s liver. This test gives a picture of the liver function. Cardiac Enzymesare markers measured to evaluate heart function. They are often discussed in the context of Heart Attack(Acute Myocardial Infarction) but other conditions can lead to an elevation in cardiac marker level. Most of the early markers identified were enzymes, and as a result, the term “cardiac enzymes” is sometimes used. CK and troponin are the two most commonly measured, especially if there is suspicion that the cardiac muscles have been damaged. CE’s are usually done several times in the first 24 hours if a cardiac incident is suspected. 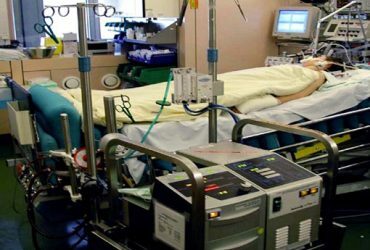 For Patients admitted to the coronary care unit (CCU) CE are usually done on a regular basis. As the name suggests this test ‘counts’ the number of each of the different blood cells in the blood. Haemoglobin or ‘Hb’ are the red blood cells, carrying oxygen around the body. A reduced Hb is called anaemia. A blood transfusion may be required if the Hb is too low. The white cell count (WCC) is an indication of infection or inflammation in the body. Platelets form an integral part of the clotting mechanism of the blood. A FBC is usually done on admission and then daily. If blood transfusions are required or there is a concern regarding bleeding the FBC will be done more frequently. Coagulation profile(Coag) includes INR, APTT, Platelets and fibrinogen. it’s a screening test for abnormal blood clotting because it examines the factors most often associated with a bleeding problem. Coagulation profile is a blood test. It requires a few milliliters of blood from a vein, and it is important that the blood sample tube is filled to the correct level – otherwise false readings may occur. A Coagulation profile may be performed to confirm normal clotting function before a procedure which may cause bleeding, or in conditions associated with bleeding, for example from the respiratory, urinary, or gastrointestinal tract. This may happen because of hereditary conditions such as Haemophilia, or acquired conditions such as liver failure, or severe infections. A condition called Disseminated Intravascular Coagulation (DIC) may occur in critically ill Patients, from a variety of possible causes. DIC affects all the components of the coagulation profile. Envenomation from some types of snakebite may also cause a coagulopathy – an abnormality of the normal clotting process. Warfarin therapy is a medical cause of easy bleeding, and shows up in the INR component of the coagulation profile. This blood test evaluates the blood’s clotting status. Regular coagulation studies are required when a Patient is receiving anti-clotting drugs such as heparin or warfarin. In ICU the test is done on admission and then daily unless the coagulation status is abnormal. When starting a heparin infusion or commencing warfarin therapy frequent testing may be required before the right dosage is established. This may mean a number of tests per day. If in place an arterial line(Arterial Catheter) can be used. Abnormal blood glucose levels are common during critical illness, as stress levels are high and high stress levels are associated with higher blood sugar levels, even for non- diabetics. A BSL in Intensive Care can be done in different ways. The blood specimen may be obtained from a specimen used for a EUC or an ABG or using the ‘stab’ on finger method. The test is generally done at the Patient’s bedside using a small glucometer. If BSL are stable the test is done once or twice a day. The BSL will be done more frequently and as required if your loved one is diabetic, the BSL is unstable and your loved one requires an Insulin infusion, as is often the case in Intensive Care. Therefore a tight control of the BSL is required, especially since many factors are at play that impact on the BSL. A urinalysis (UA), is a routine test performed on urine, and one of the most common methods of medical diagnosis. The target parameters that can be measured or quantified in urinalysis include many substances and cells, as well as other properties, such as specific gravity. Since most critically ill patients have a urinary catheter in place obtaining a clean specimen is quite easy. Only a small amount of Urine is sufficient for accurate testing, which can indicate a number of abnormalities including infection, dehydration, abnormal kidney or liver function, presence of glucose or ketones or blood. Blood cultureis a microbiological culture of blood. It is used when infections are suspected, to detect infections that are spreading through the bloodstream (such as bacteremia, septicemia amongst others). This is possible because the bloodstream is usually a sterile environment. The purpose of blood cultures are, when a Patient shows signs or symptoms of a systemic infection, results from a blood culture can verify that an infection is present, and they can identify the type (or types) of microorganism(bacteria) that is responsible for the infection. For example, blood tests can identify the causative organisms in severe Pneumonia, puerperal fever, pelvic inflammatory disease, neonatal epiglottitis, sepsis, and fever of unknown origin (FUO). However, negative growths(no growth in bacteria) do not exclude infection. Once the causes of infections have been determined, the right Antibiotic therapy can be chosen and the progress of antibiotic treatment can be monitored. Usually it required two sets of testing initially, followed by further tests as required. A preliminary result will be available within several hours however the final results from a blood culture can take several days. If a patient is quite sick with a suspected infection antibiotics will be started before the full test results are available. This antibiotic regime may then be adjusted when the full results are available. Unfortunately, it is not always possible to identify the cause of the infection. The lungs are quite often the source of an infection in the intensive care patient. There is normally a number of organisms in the throat and upper airways of a person. The presence of organisms in the sputum of a Patient or your loved one does not necessarily mean that the Patient or your loved one has pneumonia. A sputum specimen can be obtained in a number of ways. Ideally the sputum specimen may be obtained from deep inside the lungs. 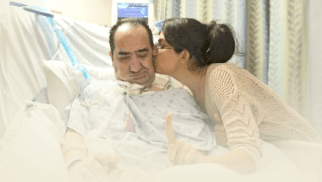 If your loved one is ventilated, he or she will be suctioned with a clean suction catheter. If your loved one is not ventilated he or she can cough up some sputum in a container for testing. Sometimes, to obtain the optimal sample a Bronchoscopy may need to be done. Alternatively, a Bronchi Alveolar Lavage may be performed for testing. If a wound, such as an abrasion or surgical incision, appears infected, a wound swab is usually taken. This involves cleaning the wound with normal saline and ‘wiping’ a sterile swab across the wound. The swab is taken to the microbiology laboratory for testing. Results take several days. 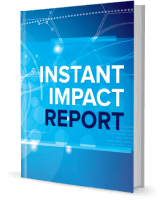 If the wound is highly likely to be the source of infection or sepsis, usually a Broadband Antibiotic therapy is commenced before the actual results are back. CSF is is a clear colorless bodily fluid produced in the brain. It acts as a cushion or buffer for the cortex, providing a basic mechanical and immunological protection to the brain inside the skull and serves a vital function in cerebral(brain) auto regulation of cerebral(brain) blood flow. CSF bathes the brain and spinal cord. A specimen of this fluid is obtained when infection such as Meningitis or Encephalitis is suspected. A lumbar puncture may be performed to extract some CSF. This procedure involves inserting a needle between two vertebrae in the lower back under sterile conditions and a small amount of CSF is drained and sent to the laboratory for the identification of infection and other abnormalities. The other option to extract CSF for testing is if your loved one has an intraventricular drain(Intracranial Pressure Monitoring) insitu, CSF can be taken out of the drain and sent for testing. 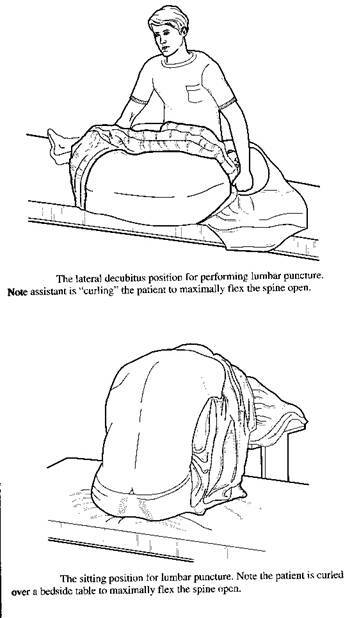 These pictures demonstrate the two common positions a Patient may be in for a lumbar puncture. The ICU patient will generally be lying down. The picture was found using a google image search at the following Website. Samples of fluids from other parts of the body may be sent for examination if they could be the source of infection. If the Patient or your loved one has a drain in place a sample from this site is easily obtained (E.g. intercostal catheter). There is a very long list of blood and other tests, which are carried out on Intensive Care Patients. However it is beyond the capacity of this site to list and describe them all. Please ask the medical and nursing staff caring for your loved one to explain any additional tests that have been done.